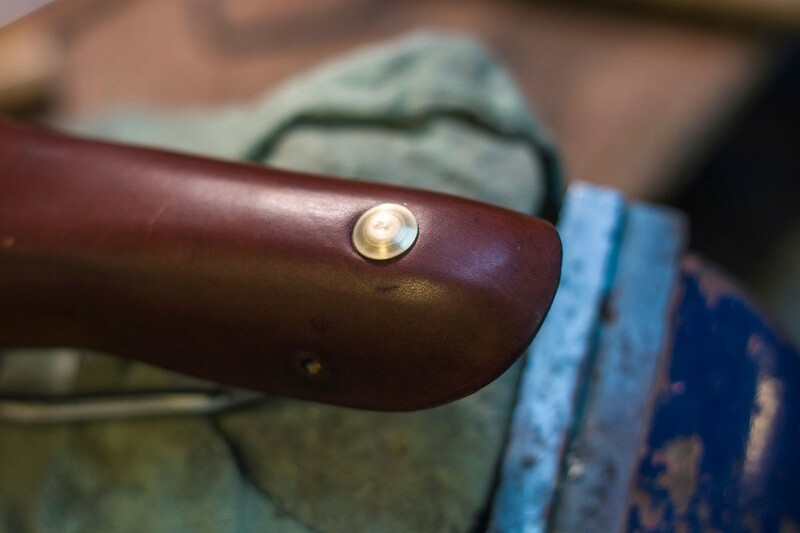 Rivets | Salty Bicycle Co. 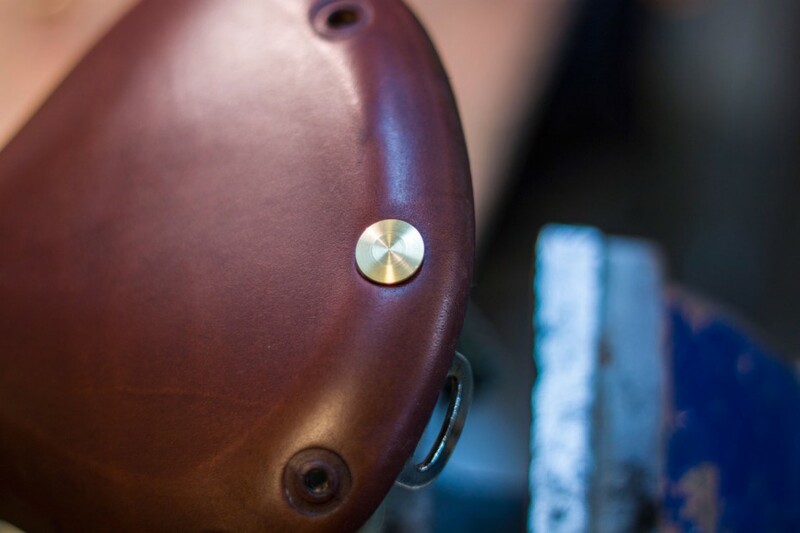 I love the Velo Orange saddles because they’re inexpensive and durable. As I was working on my latest project, Rainier Track Bike (coming soon! ), the silver rivets on the seat didn’t match the aesthetic of the frame. I decided to try and find some replacement rivets in brass. 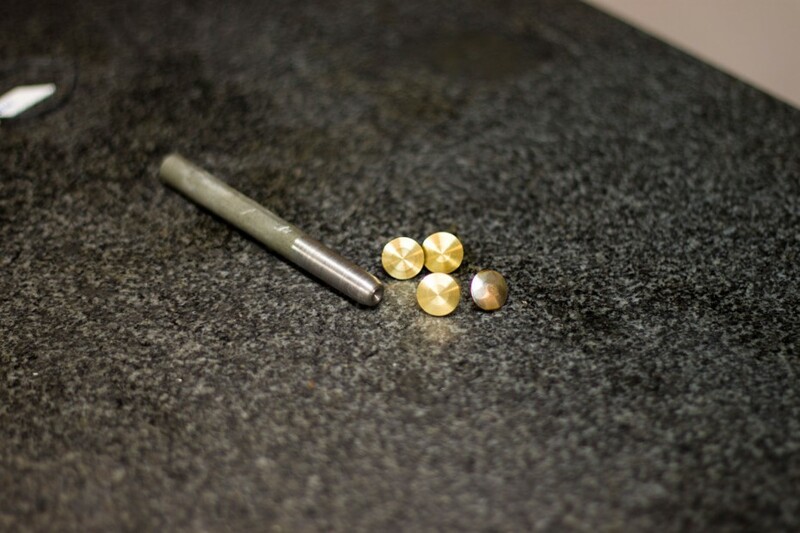 Brooks rivets only come in copper and I couldn’t find the size of rivet I needed anywhere in brass, so I ordered some brass rod and started up the lathe. Cutting the rivet out of brass is a breeze, but determining the right length took some testing. 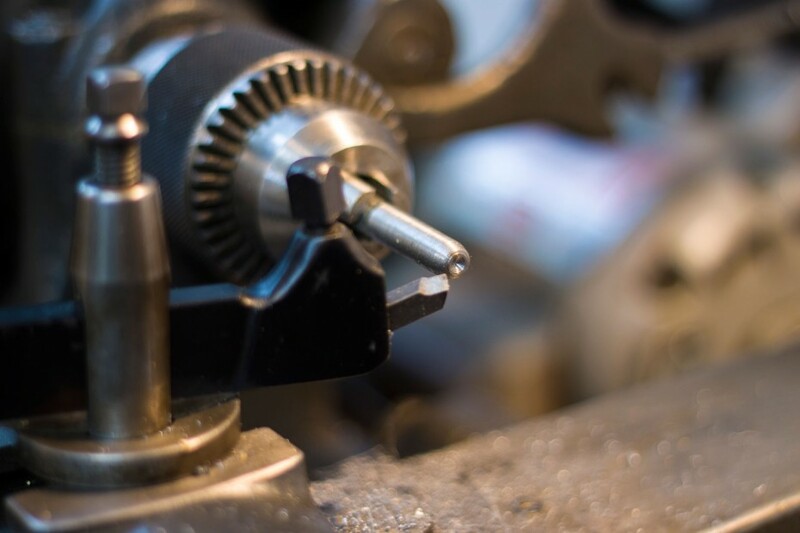 I also came up empty handed when trying to find the right tool for a solid rivet of this size, so I went back to the lathe with a piece of general steel stock and made one. This also took some testing to make sure the tool didn’t crack or bend the head of the rivet. I think what I came up with looks just right, but I’ll need to contour the rivet head to sit flush into the leather. Filed under Bikes, Custom Bikes.